A Release of Liability Form (ROL) dictates that the party participating will not hold the organization responsible for things like personal injury, death, or loss of property. In particular, the ROL protects one party from legal responsibilities associated with physical risk. However, parties should take care to protect all activity participants as release of liabilities do not typically protect a party from negligent behavior. Hold Harmless Agreement: A hold harmless agreement is generally a clause in a legal document that stipulates an organization or individual is not legally liable for injuries or damages that could happen to the individual signing the document. Photo Release Form: A photo release form grants an organization the right to use an individual's likeness in photography. Model Release Form: A model release form provides a photographer the right's to the use a model's likeness in his or her photography. Waiver: A waiver waives an individual's claim against an individual or organization for participating into an agreed-upon activity. Medical Liability Waiver: A waiver that waives an individual's claim against an individual or organization for participating into an agreed-upon medical procedure. A release of liability, commonly referred to as a waiver of reliability, a release form, a liability release form, an assumption of risk form, a hold harmless agreement, or legal release, is a legal document between two parties, referenced as the Releasor and the Releasee. The purpose of a release of liability, is to free the Releasee from legal liability for any damages incurred by the Releasor. Put simply, it's an agreement not to sue if the person or business involved in a risky activity that's offered is somehow hurt or is subjected to some form of damage. The purpose of a release of liability, is to free the Releasee from legal liability for any damages incurred by the Releasor. Put simply, it is an agreement not to sue if the person or business involved in a risky activity that's offered is somehow hurt or is subjected to some form of damage. For example, let’s say two parties, A and B, are involved in a local soccer club. A represents the soccer club. B represents someone who wants to play in the recreational league. Using a release of liability written by or acquired by A and signed by B, if B is injured in some way either during practice or during a game, A will not be held legally responsible for those injuries. Think about activities, products, or services that could harm participants. These include any physically taxing or potentially dangerous activity, such as a sports game or traveling as well as any product or service not yet officially approved, be it a new cheese spread or an experimental airplane. Keep in mind that “harm” does not just mean fatal injury. If a celebrity sponsor wears an historically important diamond necklace and it breaks, that qualifies as a form of damage. Be sure you cover all your bases. If necessary, work with a consultant who specializes in determining risk. This can be very beneficial in helping you determine how to use a this sort of agreement. What Are the Protections that Release of Liability Forms Can Provide? General Release: One party forfeits (or “releases”) all known and unknown legal claims against another party. Mutual Release: Both parties release the other from all known and unknown legal liability, past and present. In this case, each party is simultaneously both a Releasor and Releasee. Car Accident Release: Used in incidents involving automobile accidents, as the name indicates. This is essentially a more specialized version of a General or Mutual Release. Here, one or both parties agrees not to sue the other for damages (known and unknown) associated with the wreck in question. Typically, monetary payment is made from the party at fault to the other in exchange for the release. Property Damage Waiver: These waivers are common when real estate (e.g. home, apartment, or office) property or personal property (e.g. automobile, jewelry, antiques, furniture, musical instruments) are damaged. Typically, the party responsible for the damage pays the owner an agreed upon amount of money in exchange for the release. This prohibits future legal action or requests for more financial restitution. Waiver for Participation in an Event or Activity: Have you ever been skydiving, ridden in a hot air balloon, gone bungee jumping, or driven a race car? If so, you probably signed a waiver of release promising not to file a lawsuit against the business providing the experience if you’re hurt. Waivers for participation are most common in entertainment and tourist industries where experiences offered come with some risk of bodily injury or even death. Customers must sign these waivers and relinquish their right to a legal claim if they’re hurt or killed. What Are the Risks of Not Using a Release of Liability? Without entering into a release of liability, you can open yourself or your business to a host of unwanted or unnecessary litigation. Although you might incur upfront costs for creating, disseminating and signing a release of liability, by doing so you will be protecting yourself and your business from a litany of legal battles and legal fees in the near term and future. If someone filed a lawsuit against you, alleged that you didn't follow reasonable care standards, and won, you could have to pay for medical treatment and mental anguish. While a release of liability gives you a potential layer of protection, it doesn't totally protect you. Rather, it just makes it the client's responsibility to prove that they weren’t warned about the possibility and the degree of risk. The release of liability also alerts the signee that they want to participate in a potentially risky endeavor. This is why it's essential that you include all possible types of harm in your ROL wording. This guide is designed to provide you with all of the pertinent information regarding Releases of Legal Liability. Whether you are acting as the Releasor or the Releasee, this guide will walk you through what Releases of Liability are, what to include if you have to craft one, the most common types of releases, and the risks of not using one. Our goal is to succinctly and clearly provide all of the information you need so you can confidently navigate dealing with these documents in an informed and confident manner. If you own a business, you must understand the importance of a signed form to protect yourself from future claims, even if those are unknown claims. A waiver is a common legal document by which someone taking part in an activity (such as rock climbing) frees the business from legal responsibility for anything that may occur. It is easy to protect your business in this way since a free release is readily available online. There are, however, a few things that business owners should know before using one that they found online. There are many common misconceptions about these releases. These erroneous beliefs seem to run in two opposite directions. While some people believe that using a sample release found online doesn’t provide a business with any protection, others believe a signed liability waiver form offers a business total “bulletproof” protection even if it is found online. Neither or these beliefs are true. 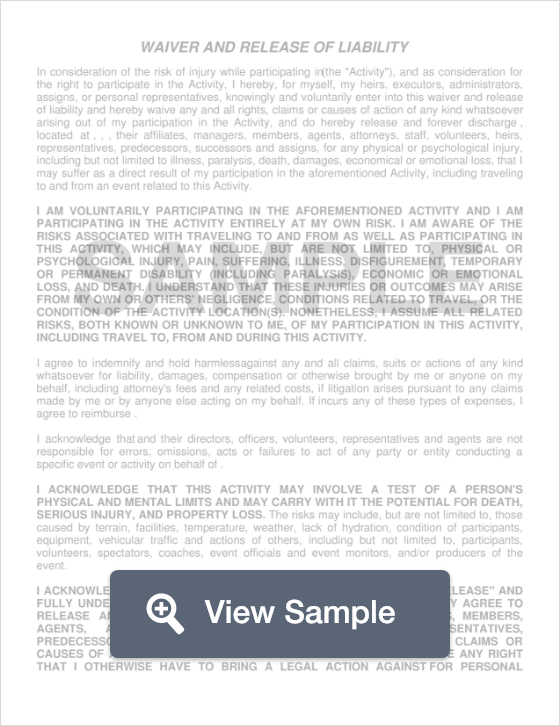 So, what can a signed liability waiver form actually do for a business? How well a waiver works to protect a business depends upon many factors. The first is the set-up of the form. Additional protective clauses may be included. These include, but are not limited to, disclaimers, indemnification agreements, informed consent agreements, and covenants not to sue. Including the clauses that are applicable to your business may provide maximum protection in the event of an accident or injury. The second important consideration is your state’s laws. It’s important to find, read, and understand your state’s laws to determine the legal requirements to create a legally binding waiver. You may find it beneficial to talk with an attorney because the laws vary so drastically from state to state. For example, a waiver is almost always enforced in Alabama. However, they are never enforced in Louisiana or Virginia. There are also several states that sometimes enforce them, states that often (but won’t always) enforce them, and states that usually don’t enforce them. Regardless of which state you live in, it is important to make sure that the free waiver you use includes a few key components. When these documents fail in states that tend to support them, it’s often because they are poorly written. As with any legal document, the free waiver form you use must be clearly written and comprehensive. While it’s important to include the right provisions in your waiver, there’s something important you must know. It cannot and will not protect you or your business for all accidents or incidents. Nearly every state declines to support a waiver through which the business seeks protection from their (or their agent’s) gross negligence or reckless conduct. How your state defines both gross negligence or reckless conduct is something to consider. There is also some concern over whether or not waivers signed by minors or signed for minors by a parent/guardian may be enforced. Fortunately for recreation-focused businesses, many states enforce parental waivers. It’s important to understand how a parent signing a waiver for a minor is handled in your state so you know how or if one will protect your business. How do I Make a Release of Liability? Releasor: Name, address, and contact information. Releasee: Name, address, and contact information. Effective Date: This is the date that the release of liability was signed. Event/Incident Description: Description of the incident, event, or circumstances that created the need for a release of liability. Consideration/Restitution: The amount of money (or other transaction) to be paid in exchange for the release of liability. Some release of liability forms, such as a damage waiver for property or a car accident release, include a payment that will be made in the event that certain types of injuries happen. However, before you add this clause, you should speak with a lawyer in your state to determine if it is necessary. If it is necessary, are there any regulations that you must follow? This clause can seriously limit your legal rights. Governing State Law: Which state’s laws will be used for any legal action, disputes, or considerations related to this particular instance? Create a free Release of Liability in minutes with our professional document builder. For anyone in a managerial or supervisory position, it's crucial to have a thorough knowledge of legal protocols, regulations, and protections covering employees and the workplace. This overview covers the legal aspects of employment -- from basic employee/company communication to workplace conflicts and health issues. It is for informational purposes only. For legal advice, please consult with an employment lawyer in your state. According to a recent Gallup poll of 7,272 adults, 50% of employees quit a job because of an bad experience with a manager. When it comes to creating a positive relationship between management and employees, constant communication is key. This communication must conform to professional protocols for it to be successful. In the Gallup poll previously mentioned, employees said that daily communication with their supervisors kept them more interested and motivated. Likewise, employees whose managers held regular staff meetings were three times more likely to fully engage their roles. Good managers build morale and a team spirit. Yet, within this team solidarity, each member needs a clear set of individual goals to contribute to the team's overall success. Today's companies realize the importance of investing time in community outreach programs and local volunteer services. Many businesses encourage employee volunteerism, and even pay staff members to volunteer for their favorite non-profit organizations during working hours. This creates a team spirit of altruism that has an enduring, positive effect on the work environment. Before employment, many companies also require new hires to sign an indemnity agreement that fully explains company liability and employee responsibility in cases of injury and illness. Corporate bylaws: These should be reviewed regularly so that everyone has updated information concerning company policies, operational procedures, and employee rights. Employee rights are also generally discussed in the employee handbook. Employee handbooks can include a waiver and a signature page that affirms the employee received, read, and understood the contents of the handbook. Employee evaluation forms: These should be used annually so employees can better understand their job responsibilities, where they’re excelling, and where they need to improve. Performance Improvement Plan (PIP) forms: These provide individual employees with a personalized blueprint for success. Employers cannot make hiring decisions based on a person's gender, religion, race, national original, age, or disability. Employers cannot harass employees because of any of the categories listed above. Employees who believe they were targeted may file discrimination charges with the Equal Employment Opportunity Commission (EEOC). Small business with fewer than 15 employees, however, are typically not regulated by the EEOC. It is illegal to pay men and women different salaries for the same work and position. An employee handbook detailing codes of conduct so that employees can be aware of current policies and procedures, as well as their rights. In addition, employee contracts should be regularly reviewed, when necessary. Exempt employees, often referred to as salaried employees, receive the same amount of pay no matter how many hours they work per week. 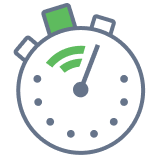 Exempt employees generally do not receive overtime pay; sometimes, they are exempt from the legal requirement for meal and rest breaks. Non-exempt employees are paid per hour. They also qualify for overtime pay. Some states require that meal breaks must be given at certain times, making it illegal for employees to skip lunch and leave early. Managers should contact their State Labor Office for clarification to determine if they may offer flexible lunch breaks. Independent contractors are not eligible for insurance benefits, workers' compensation insurance, disability benefits, or other fringe benefits. Employees wrongly classified as independent contractors are prohibited from getting the benefits that they're entitled to receive. Improper classification can get a business into big trouble. The IRS provides a definition of when an “independent contractor” is actually an employee. This training is required by law in California, Connecticut, and Maine. It is advised in other states. To get more information on what you should include in your training to reduce your risk, speak with an employment lawyer in your state. Harassment/discrimination training can protect both employees and companies from lawsuits. Many employers require employees to sign non-compete agreements. This protects intellectual property, client lists and company information, and prohibits employees from working for competitors for a certain amount of time after they leave the company. This practice, however, is illegal in some states. If it is legal in your state, make sure that you follow the specific legal requirements to reduce your risk. In order not to breach privacy laws, managers need to be aware of their legal limitations during investigations. Employees should expect privacy in their work space, but must be informed if there are areas (such as lockers and desks) that are legally eligible for searches. Overexertion injuries: For US businesses, these represent a cost of $15.1 billion annually. Fall/slip/trip injuries: These are the second most common injuries, but can often be prevented. Vehicular accidents: These refer to accidents when employees are driving for business reasons. Repetitive motion injuries: These include carpal tunnel syndrome from continuous typing, and back problems from heavy lifting. Machine entanglement: These happen when clothes, shoes, hair, or fingers are caught in equipment. Seek immediate medical attention: This doesn’t just protect the health (or even life) of an employee. It may also save the company from lawsuits. In many cases, failure to provide immediate medical attention is against the law. Complete an injury report: It's a company's duty to provide injured employees with a claim form upon request. Be sure to document the injury, take statements from witnesses, take photos, and add comments. This protects both the employee and the company. Cooperate with the company's workers' compensation insurance firm: This will require filling out documents and providing records of the accident. Welcome the employee back after recovery: Employees cannot be fired or penalized for filing a workers' comp claim or for being injured on the job. Investing in employee care/safety education: By providing safety training and wellness education, companies can decrease the risk of employee injuries and illnesses. Providing protective gear and resources: Companies are required to provide protective gear such as hard hats, face protection, earplugs, gloves, and other safety equipment when necessary. Replacing outdated equipment: It's imperative to replace faulty or outdated equipment that could potentially cause injuries. Choosing ergonomically designed equipment can also cut down on employee injury rates. Upholding strict safety regulations: It's a manager's responsibility to post strict safety regulations and monitor the workplace to ensure that these regulations are followed. By communicating openly with employees, providing a fair and ethical workplace, providing resources for employee well-being and staying on top of state and federal laws, managers can rest assured that they're doing everything they can to legally protect employees and the business. In addition, employees who feel valued and are well-treated and protected will not only stay with the company longer, but will also be more productive in their jobs. A release of liability can be a visible notice displayed somewhere prominent informing the public or customers that they are responsible for their own safety e.g. in the circumstances of engaging in activities that are risk to health or well-being at facilities offered by a business or other entity. A Last Will and Testament is a state specific legal document. This document explains how someone wants their personal property and money distributed after their death. Without a Last Will and Testament, the court determines how your property and money should be distributed. An independent contractor agreement explains the duties and the obligations of the independent contractor and the business for which they are providing a service. This document is extremely important if there is a legal dispute between the parties. A digital or paper invoice is a document that proves details of a financial transaction where fees are paid for goods and services. It details the seller's company name, address and other contact details, fees charged for itemized goods or services, date of the transaction and may include method of payment.